Course: Single track and some jeep trial in Bonita Lakes Park. The course is based on a 7.78 mile loop that runners will run multiple times (50K 4 times -- 25K 2 times --12.5K 1 loop) Each runner must complete the entire course as it is designed and stay on the route to qualify for awards. Short cutting across trails is not allowed and will result in DQ if discovered or reported and found to be true. Please don't do it. 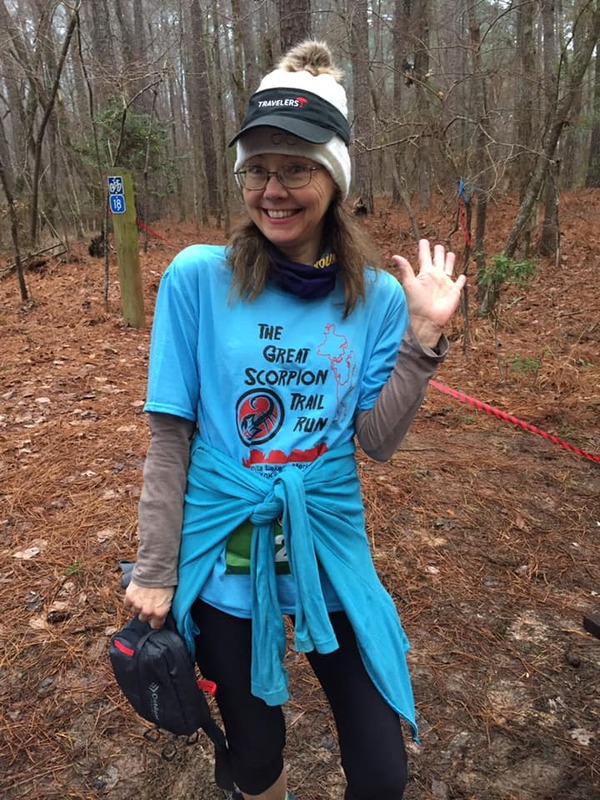 Shirts: Each registered runner will receive the official Great Scorpion Trail Run t-shirt. 50/50 soft tee with the official race logo and dates. Parking: There will be limited parking at the area of the Start/Finish and all spots are first come first serve. Additional parking in the boat landing and up the boat landing hill by the upper rest rooms. Hotels: Our official race hotel is Hilton Garden Inn Meridian and is very close to the Start/Finish. Medals: Each finisher that completes the entire distance of 12.5K, 25K or 50K will receive the official finish medal for that event. Any course cutting will result in forfeiture of finisher medal for either distance. Aid Stations: Due to the length of the single loop, there will be two official aid stations that will service the runners on the trails. As in all trail runs, runners are expected to carry water bottles and nutrition along on the course. Water coolers will be provided at both official aid stations and runners will pass both on each loop. Bathrooms/Port-a-johns: Port-a-johns will be located at the start finish area. We are looking into also having one at the 5 Points check point which runners will pass through at 2 points in the race.